On this site you will find Stories of Resistance, Resilience, Compassion and Community, along with discussions of how the stories have been, or can be, useful. 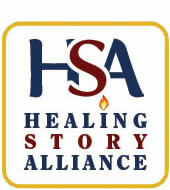 The stories found here have been selected by Tellers who are active as users of story for healing and social justice purposes. You are welcome to use these stories and share your experience on our comment form. You will also find articles and references to collections of stories and other useful material in the Resource section of our website. We announce opportunities for learning and using these stories with a calendar of events, and links to other organizations that may be relevant for you, so please send information in the comment section about similar storytelling events to us. We encourage the development of local story concerts and concerts series and believe that these events can build community and solidarity which is vitally needed in these troubling times. If you would like to develop local story events focusing on Resistance, Resilience, Compassion and Community, contact us. We will gladly announce these on this site, and can introduce you to tellers who may be available to participate in those events. Training can also be offered. This initiative is a growing work in progress, and more material will be added as we receive your contributions and suggestions via our comment section.